There’s probably some psychological reason behind the photos we choose to take. Or maybe it just has to do with personality, in which case, there’s some psychology lurking between them pixels – somewhere. I started to think these deepish thoughts because JR from The Drifters Blog, in his infinite wisdom, decided to nominate his 808 peeps for the Capture the Color Photo Contest- and I be one of those (808) Hawaii peeps, yo. 1) I like certain colors, therefore, I gravitate towards them and take pics with them in it. Like pink, damn it. I like pink. There’s no pink category. 2) It’s harder than it looks (that’s what he said). 4) The chances of me winning, as opposed to someone who’s been to India, and who carries a heavy lens (if you know what I mean), are slim and shady. 5) When creating a list, there needs to be an odd number, and five is a good place to stop. Sooo, I added a little potato twist to this contest entry. 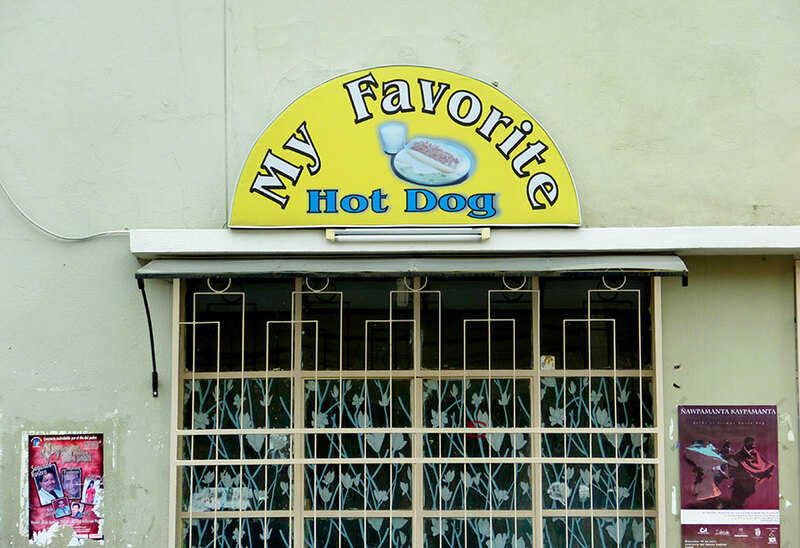 I put in my “honorable mentions” which essentially grew out of me trying to figure out which ‘WHITE’ I liked better, and because I don’t think My Favorite Hot Dog is getting the airtime it deserves. Bon appetite. 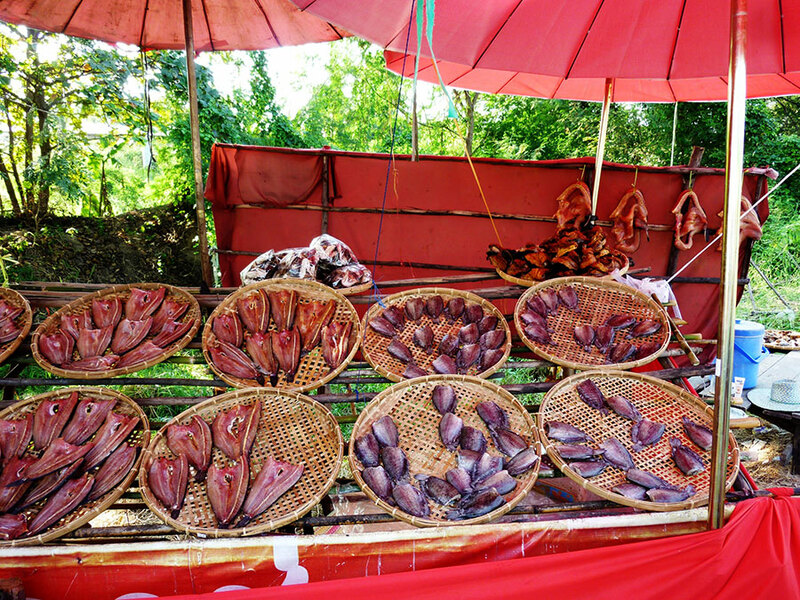 After Thailand, the food in Ecuador was less than flavorful, and boy-band-bland. But like Thailand, there was delightful signage, and many moments to enjoy the English language used in its sweet relish ways. I really really loved this celebration. Easily one of my favorite moments of my six month stint as an English teacher in Cuenca. Originally I posted this album on FB, I’ll have to repost here. This particular group of dancers were from Guayaquil. 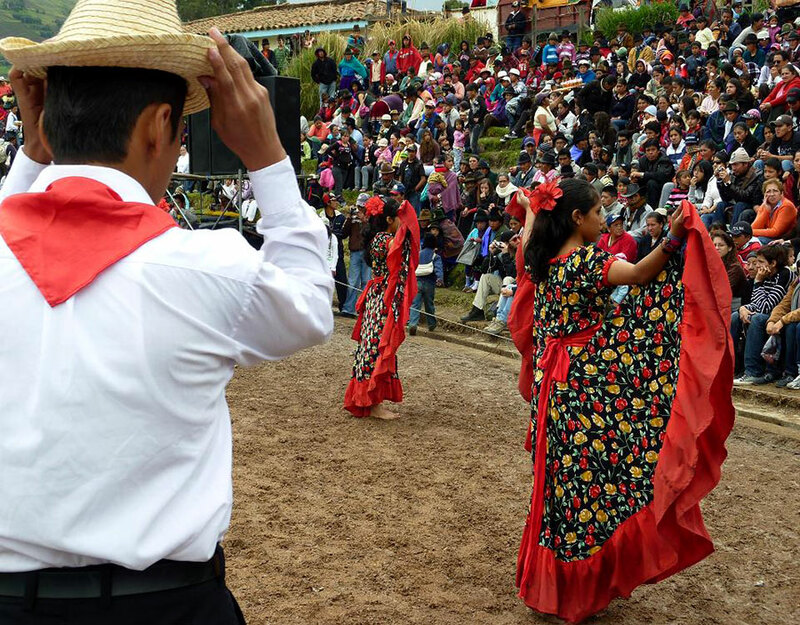 Thank you Meg for bringing me up to the Incapirca ruins for this day of indigenous and regional dancing. I’m beginning to wonder if all of my travel pics come with a side swipe of carsickness and unpleasantries. I don’t know how all those travel bloggers make it seem so glamorous, but I cannot tell a lie – very well. And quite frankly, my travel stories are not told from the seat of a private jet or first class, but from a bus, or in this case, a van without A/C, and sardine packed with my 11 closest relatives. 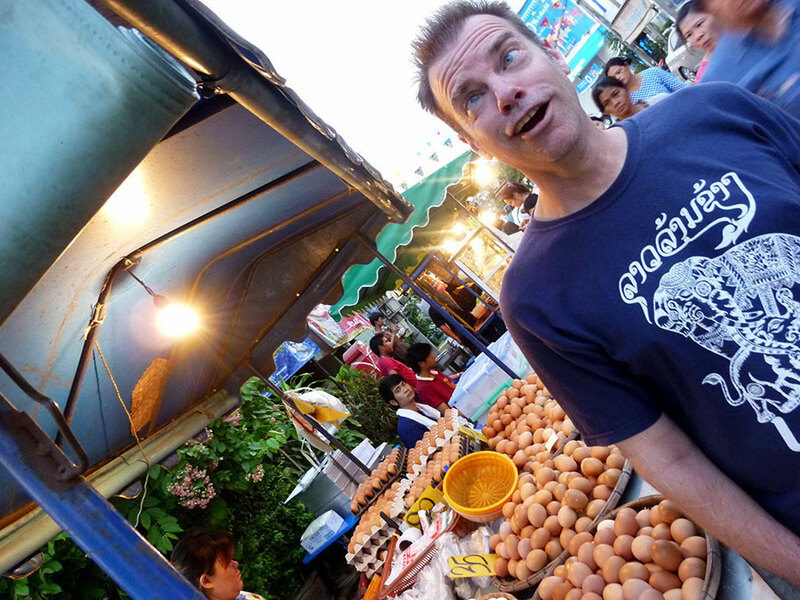 This photo was from a trip, a special day, that I like to call The Day I Stopped Wanting to be Thai. We were on one of those double decker buses, touring the city. Interestingly enough, I saved this for when I was getting ready to leave. So this snapshot was taken from the top of the bus, and not far from where I lived. 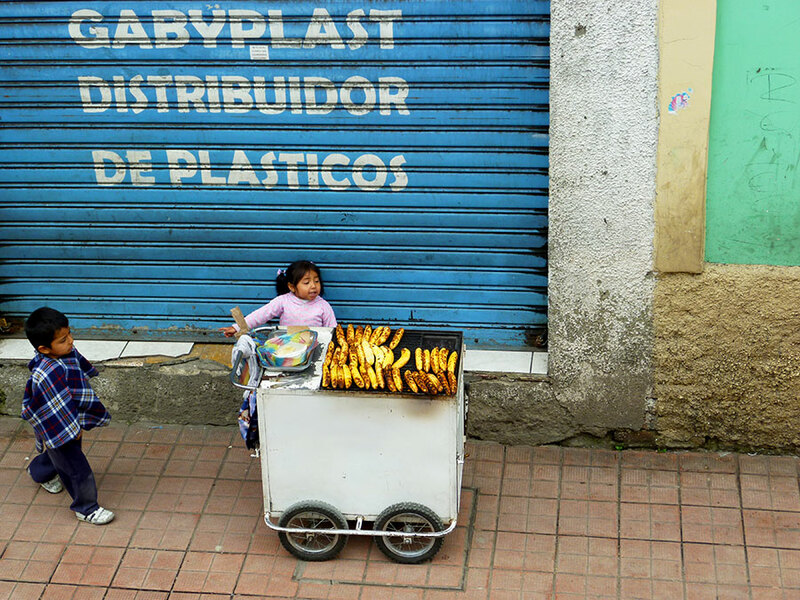 I really liked seeing the similarities between Thailand and Ecuador, like the grilled bananas. Did I mention, I’m not a photographer? But I am proficient in capturing people’s personalities. Some might call this a ‘lucky shot’, but I think if I wanted it, I could get into the Sears Roebucks family studio portraits gig. Magic! This was taken outside my new favorite place, Chivit Thamma Da Coffee House (thank you Andrew!). I’d like to be a cat here, and eat everything off the menu. More pics to come! It’s always a surprise when I visit my family. 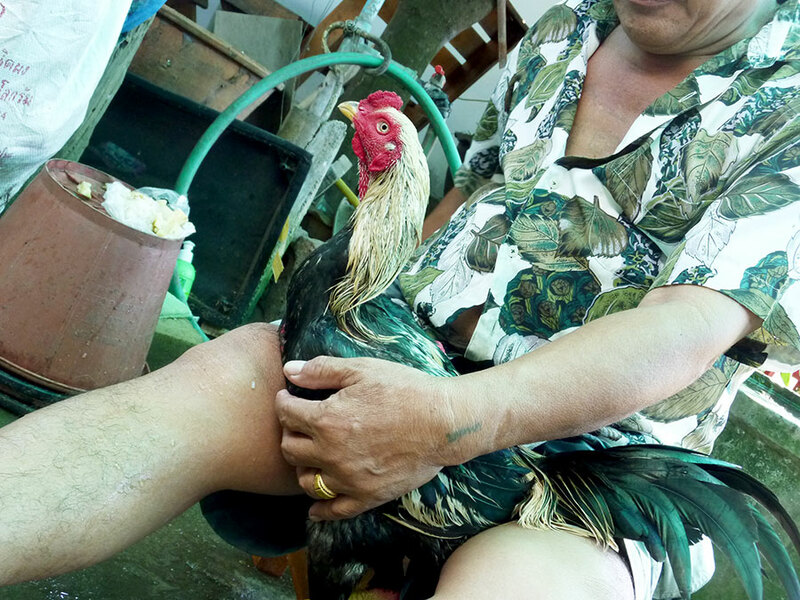 Here’s my uncle cleaning and feeding one of his prize roosters. I’d like to say he’s just doing it to be nice, but he’s doing it because they have cockfighting at their house. I don’t like it, so I don’t watch, but this moment was so funny, and in line with the fact that country livin’ in Thailand is so different than urban life here. This was from my first visit to the Incapirca ruins. 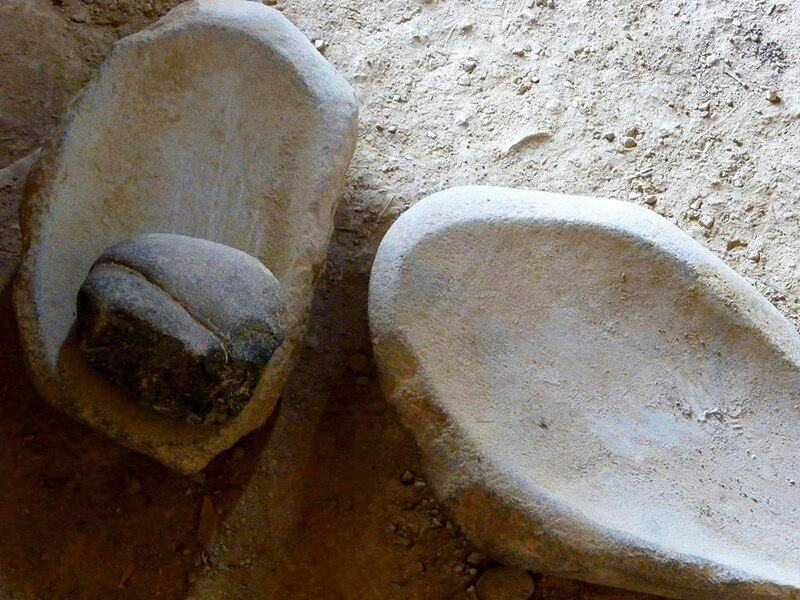 As a former archaeologist that studied and worked in the SW, this beautiful stone kitchenware set was used to ground corn. I know they’re everywhere, as in folks are keeping them as decoration when they’re not supposed to, but I LOVE lithic (stone) tools. I love running my fingers along smooth rock surfaces. What can I say, I like rocks. I dated a guy who has a passion for VWs, and since we’re still friends and all that, I occasionally take pictures of them to send to him. I also enjoy looking at old cars. 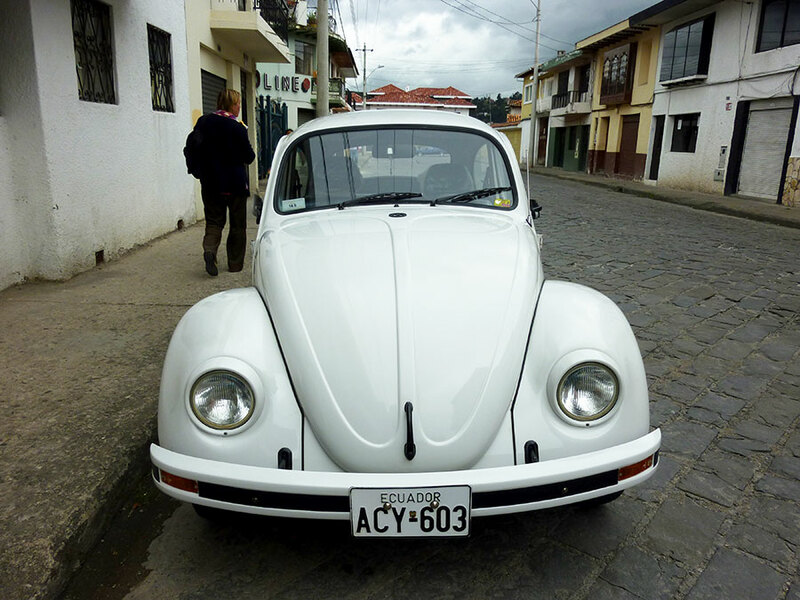 I like to see someone caring for a classic vehicle and in Ecuador, I saw a lot of them. A thing of beauty. Now it’s my turn to nominate! And thanks again JR for thinking of me. To enter is simple, you write a post with your five best photos from these color categories: RED, BLUE, GREEN, YELLOW and WHITE. Be sure to nominate five other bloggers and tweet it with the hashtag #CTC13. There will be a winner from each color category who will get: an 128GB iPad, a Fuji camera or £750 worth of Arc’teryx clothing and equipment (you choose). 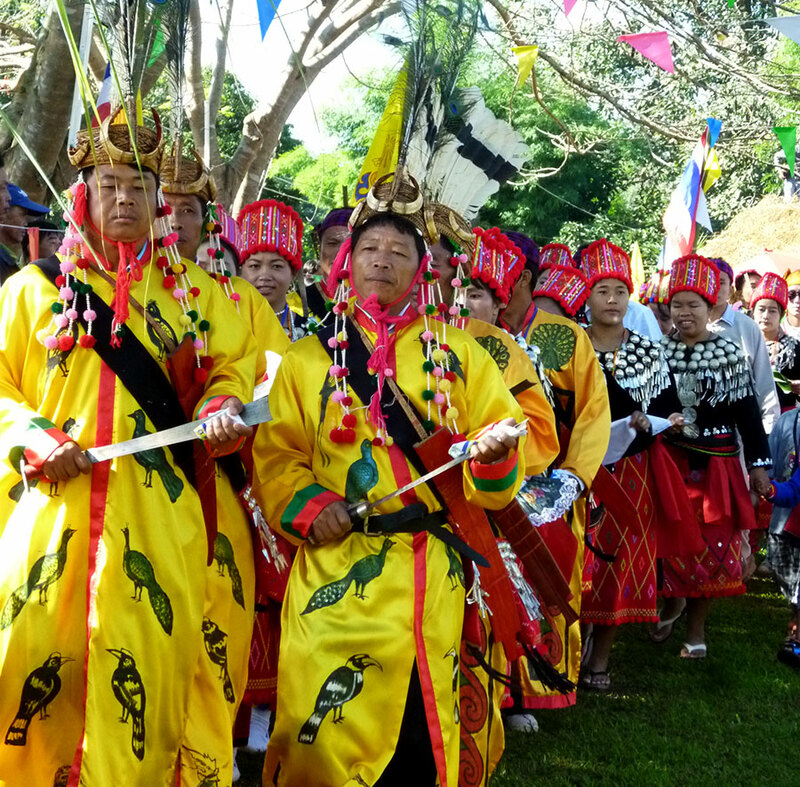 Then from the five winners, an overall winner will be chosen to win: £3,000 travel fund (worth about $4633 USD). Great shots and HILARIOUS commentary! Already, I could just imagine the blog posts behind all of those stories. Nice post, I’m glad you took me up on that nomination. Thanks JR 🙂 I hope the other 808 gang does too. Twas fun to poke around and look through old photos and see them in a new light. Thanks so much for the nomination Lani! 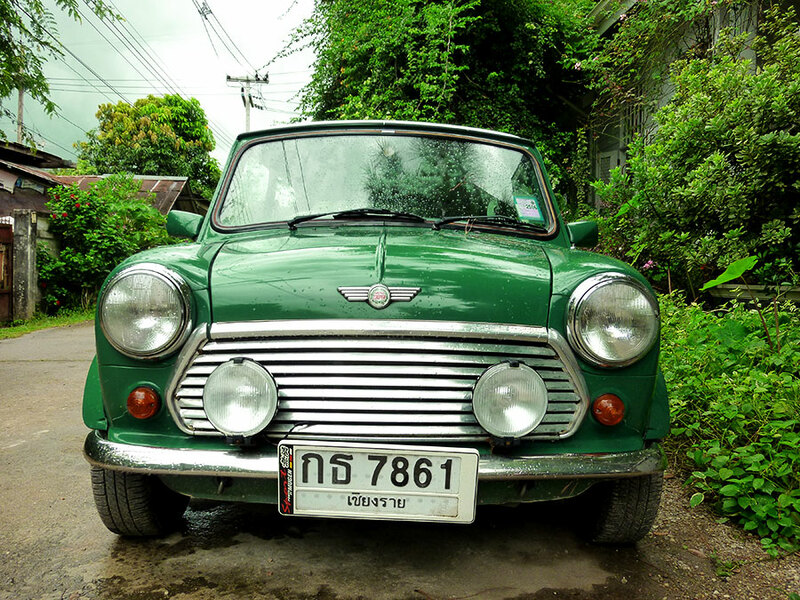 And I love the photo of the green car! LOVE LOVE LOVE LOVE LOVE LOVE LOVE LOVE LOVE LOVE LOVE this post! The photos you chose are splendiforous, your commentary is hilarimonious, and you are just plain AWESOMOSTIUM! (So much so, you got me makin’ up new words.) Thumbs up and high-tens to you and JR for representing the 808 magnificenteraniously! You crack me up..and I love some of your honorable mentions…all your photos…good! Thanks. Glad I made you laugh 🙂 too. Well done! That guy is awesome! Oh, yeah, my friend Eric is a silly one 🙂 Thanks! Thank you. Green is one of my favorite colors!